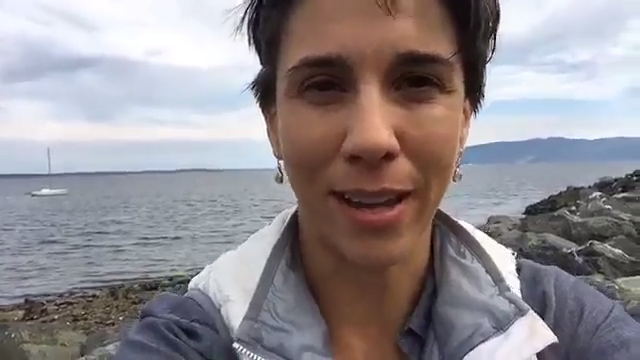 Thank you: live facebook feed challenge | Rachael D. Mueller, Ph.D.
Hi! This is my first live video ever made in this context. This will be an adventure for us both. I just want to say thank you because a couple weeks back I posted my job at UBC [on Facebook], and I have been so incredibly touched and overwhelmed by the response that you all have given in congratulating me and supporting me on this next chapter. So thank you. Really. It has been a journey and it has been a few years since I’ve been in a formal academic environment so it’s kind of a big step for me, and I’m excited. I start my job on Monday, and Charleen Hess has inspired me to do these little video missives over the next week. She did this amazing thing where she committed to 90 days of Evolving Out Load (), and I think that’s amazing. It’s very intimidating for me [to put myself out in this way]; so I only feel comfortable committing to a week, and we’ll see where it goes. I’m super jazzed about bringing people along with me on this journey as I step into this new role. I will be filling you a little bit in more on the position of what might be what that will be; but for now I just wanted to say thank you all for your support and I’ll see you again soon.